** Size: 18"X12", Made in US. ** It is a rust-free metal sign to last more than 7 years outdoor. ** Premium UV print, crisp & sharp lettering & graphics. Resists to harsh weather (heat, humidity, and snow.About Us:MacNito, IS A SMALL BUSINESS LOCATED IN THE HEART OF BOCA RATON, FLORIDA. WE TAKE PRIDE IN SELLING SIGNS AT A COMPETITIVE PRICE AND SERVING CUSTOMERS FROM S&P 500 COMPANIES TO INDIVIDUALS. Product Guarantee:WE STAND BY OUR 100% CUSTOMER SATISFACTION POLICY. WE TRY OUR ABSOLUTE BEST TO SATISFY ALL OF OUR CUSTOMERS. PLEASE DO NOT LEAVE NEGATIVE FEEDBACK WITHOUT MESSAGING US BEFOREHAND.Shipping and Handling:Processing: 1-2 BUSINESS DAYS. All orders are shipped out WITH TRACKING. If we are experiencing unusual large order volumes, processing time may take up to 3 business days. Please ensure your shipping address is correct prior to completing the transaction. We are not responsible for the wrong shipping address after the item has shipped.MacNito, THANKS FOR SHOPPING WITH US. 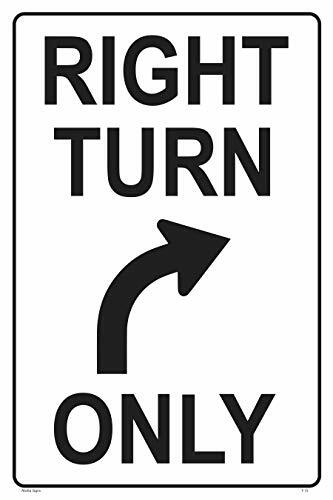 This sign is a high quality product made in the U.S.A. .
Tapco engineer grade prismatic square standard traffic sign, legend "No Right Turn (Symbol)". 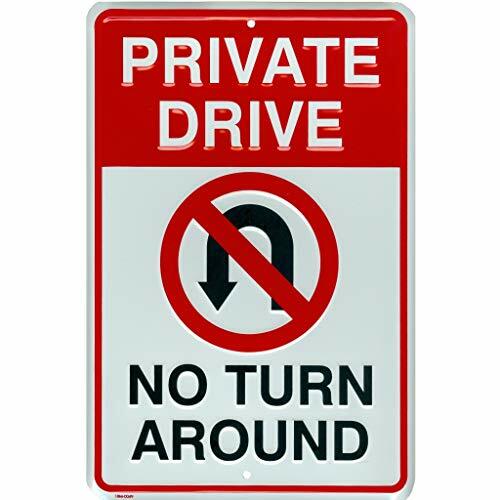 Sign made with higher performance reflective sheeting is more visible and help improve safety. It is save you money over the life of the sign. Sign deteriorate at different rates. Age, location, sun exposure and sheeting type all affect a sign’s useful lifespan. EGP is microprismatic reflective sheeting with pressure-sensitive adhesive backing for application on non-critical traffic signage or commercial signing. Meets and exceeds ASTM D4956 Type I specification, with Class-1 adhesive. Typical application: no parking signs, ADA handicap signs, restricted parking signs. Black/red on white color combination. Round corner. Measures 24-inches width by 24-inches height by 0.08-inches thickness. 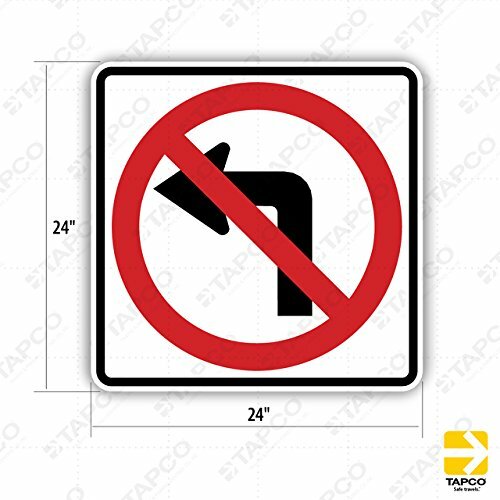 Tapco high intensity prismatic square standard traffic sign, legend "No U-Turn (Symbol)". Sign made with higher performance reflective sheeting is more visible and help improve safety. It is save you money over the life of the sign. Sign deteriorate at different rates. Age, location, sun exposure and sheeting type all affect a sign’s useful lifespan. HIP is a durable, encapsulated lens retroreflective material that is three times brighter than EG and is guaranteed to retain at least 80 percent of its original specified brightness, even after 10 years. Excellent for maintaining FHWA- required levels of retroreflectivity. 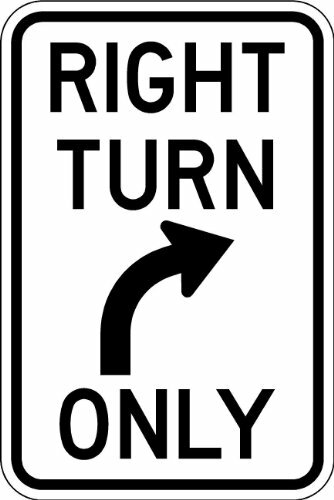 Typical application: stop and restrictive signs, warning signs, speed limit signs. Black/red on white color combination. Round corner. Measures 24-inches width by 24-inches height by 0.08-inches thickness. 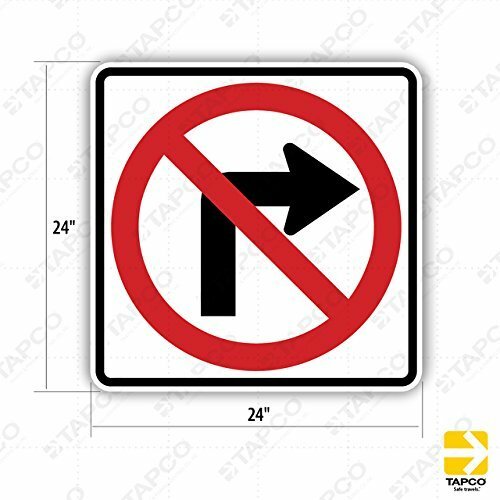 Tapco high intensity prismatic square standard traffic sign, legend "No Left Turn (Symbol)". Sign made with higher performance reflective sheeting is more visible and help improve safety. 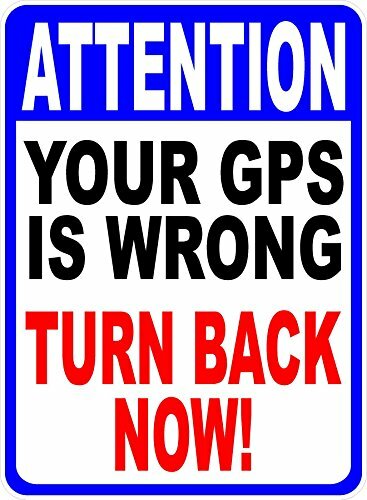 It is save you money over the life of the sign. Sign deteriorate at different rates. Age, location, sun exposure and sheeting type all affect a sign’s useful lifespan. HIP is a durable, encapsulated lens retroreflective material that is three times brighter than EG and is guaranteed to retain at least 80 percent of its original specified brightness, even after 10 years. Excellent for maintaining FHWA- required levels of retroreflectivity. 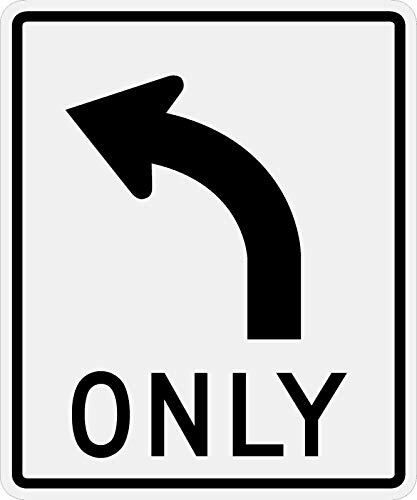 Typical application: stop and restrictive signs, warning signs, speed limit signs. Black/red on white color combination. Round corner. Measures 24-inches width by 24-inches height by 0.08-inches thickness. SPEED LIMIT 10 MPH Sign 18"x24" 3M High Intensity Prismatic Reflective. By Highway Traffic Supply. 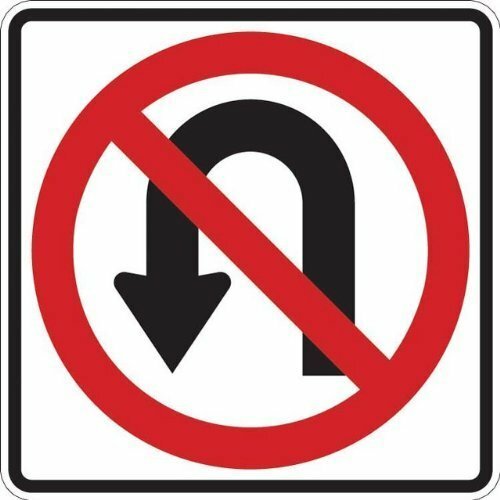 Shopping Results for "Turn Traffic Sign"